Home Theater Systems Are Designed Not Un-Wrapped. The dream of having your very own home theater can be a reality. Welcome to home theaters designed by VHI. We install home theater systems every day. You could say we live, breathe and sleep home theater design and installation. Want to talk about making your dream a reality? So do we. There’s a lot more to a home theater than the big box stores would have you believe. First, a real home theater doesn’t come in a box. It’s designed by a professional who understands the science behind it and the acoustics of the room. At VHI we pride ourselves on the performance of every home theater we design and install. Then we personalize it to each client. In it’s most basic form, a home theater system is a 5.1 audio video system. What’s a 5.1 audio video system? It simply means 5 speakers and 1 subwoofer. That’s the minimum you need to reproduce a movie soundtrack as the director intended. Today’s home theaters are capable of 7.2, 9.2 and even more. Don’t worry, VHI will help you decide which speaker configuration is right for your home theater based on your room size and budget. 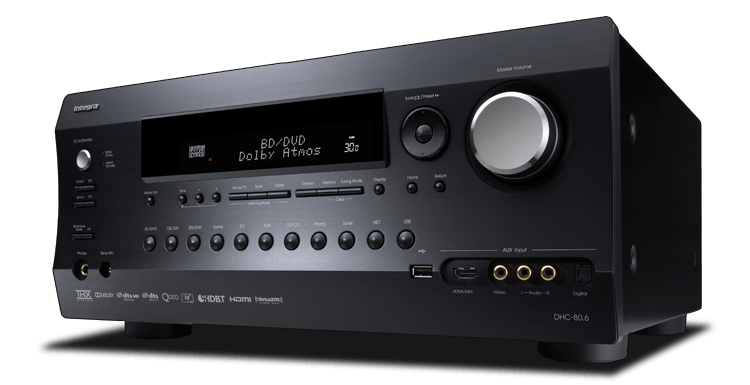 Every home theater system needs a home theater receiver. Think of it as the brains and braun behind your entire home theater system. You need a home theater receiver built to handle whatever you throw at it. One that’s comfortable rattling the walls but subtle enough to let you hear a pin drop. That’s the true power behind a home theater. You don’t necessarily need a dedicated room to have a great home theater experience in your home. We install incredible home theaters that are discrete enough to compliment any space, yet powerful enough to give you the cinematic thrill ride you crave on a Friday night. 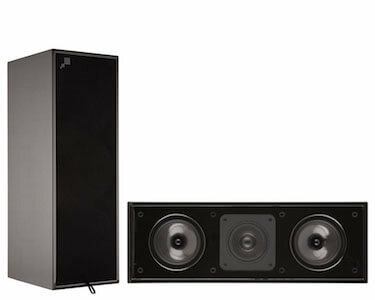 Home Theater speakers come in a variety of shapes, sizes and purposes. The selections range from floor-standing to in-wall, in-ceiling, bookshelves and more. You can be sure when VHI designs and installs your home theater system, we’ll match the speakers to the design of the room. We’ll design your home theater to be aesthetically appealing while it draws you into the action. A full-range speaker that’s perfect for two-channel stereo setup, or as part of the ultimate home theater system. You’ll appreciate the clarity and detail and a wide, natural sound stage at the high end. 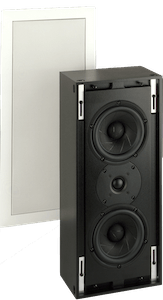 Our selection of subwoofers represents the latest, greatest approach to subwoofer design. 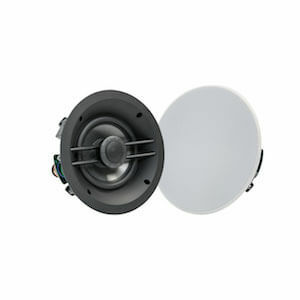 All of our subwoofer selections deliver tight, punchy bass. The perfect compliment to your home theater. Delivering superb performance in both two channel stereo systems as well as in home theater and music systems. Their sleek, elegant design is not only gorgeous but important from a performance perspective. 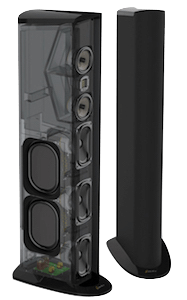 An elegant loudspeaker that will blend with any home furnishings, and these full-range speakers are perfectly suited as left/right or as a center channel in a home theater system. 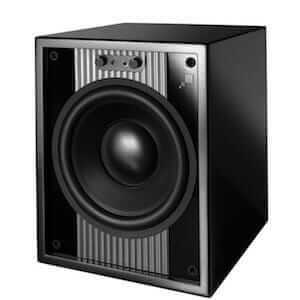 These speakers offer excellent sound which can be customized to suit application and preference. Great for rooms that don’t allow for in-wall speakers, or use for surround speakers. 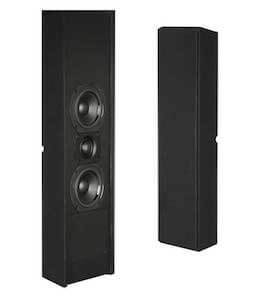 A perfect solution for the best in home theater sound, these speakers deliver an incomparable audiophile-grade performance to please even the most discerning music and movie lovers. When it comes to video for your home theater. You have two choices, projection or television? Both can be great choices based on the room dimensions and about a hundred other variables. Interested to see how a big TV compares to a big projection screen? Projectors and screens have come a long way since you were in elementary school. The latest projectors come equipped with 4K Technology to deliver the crisp detail you expect from a VHI home theater system. A projector simply may not be an option for your home theater system. We’re proud to partner with Sony Televisions. You can learn more about Sony Televisions here. We know what you're thinking. Yes, you do need another newsletter in your life. Our newsletter isn't just any newsletter. It's filled with Tips, Tricks, and Special Offers.